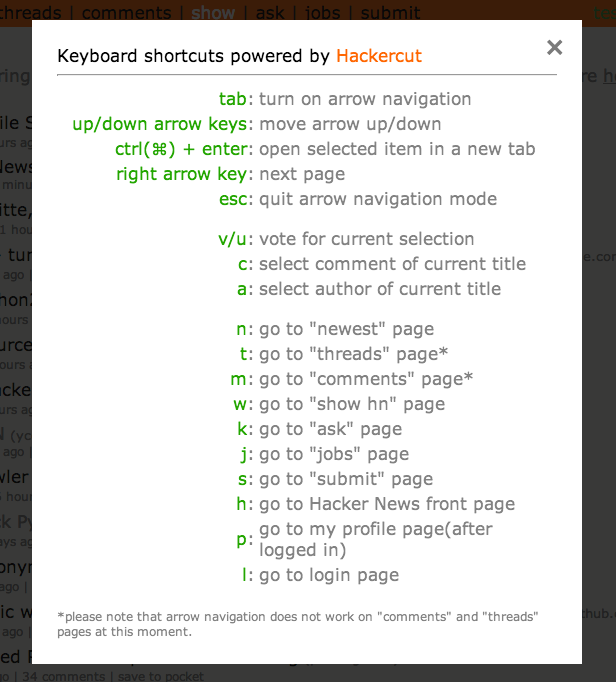 And pressing “esc” key will turn off Arrow Navigation mode. 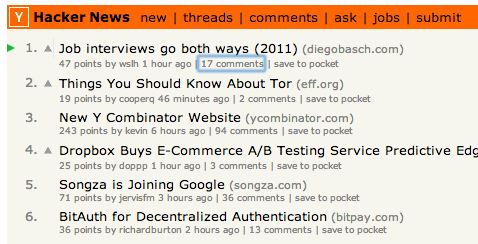 *arrow navigation does not work on “comments” and “threads” pages at this moment. 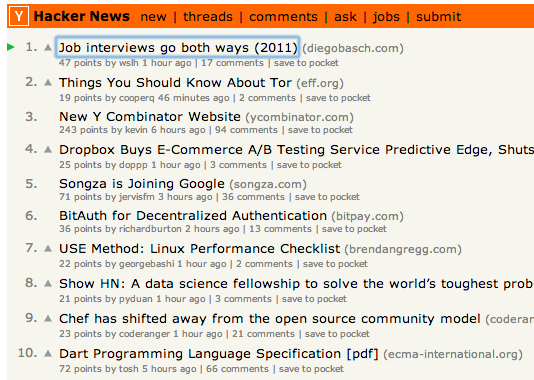 I hope you can better enjoy Hacker News with Hackercut. Could you make it into a userscript so that people can add it in any browser with greasemonkey? I would consider porting it to firefox in the future. Good catch! I didn’t find any sensible use of it, so it’s not included as a short key.